UC Irvine staff will provide training and support related to elder neglect and abuse awareness in Orange County nursing homes under the settlement terms of a class-action lawsuit alleging inadequate staffing at 22 long-term-care facilities in California. Training will be handled by UC Irvine’s Elder Abuse Forensic Center and funded by a $375,000 grant from the trustee of the $62.8 million settlement in Vinnie Lavender et al. v. Skilled Healthcare Group Inc. et al. “This grant allows us to fill a need that has distressed us for years – the recognition and integration of the needs of vulnerable older adults in long-term care into all aspects of our work,” said Kerry Burnight, Ph.D., associate professor of family medicine at UC Irvine and co-director of the Elder Abuse Forensic Center. 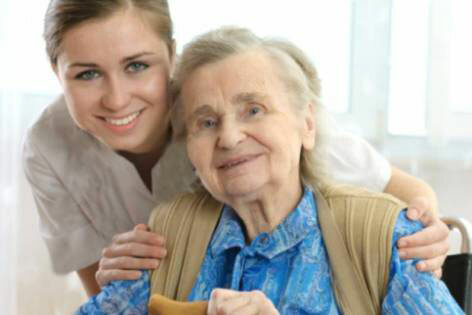 Furnish direct services to residents of long-term-care facilities through the Elder Abuse Forensic Center. Orange County’s long-term-care ombudsman’s office annually receives approximately 3,000 complaints ranging from dissatisfaction over cold food to allegations of sexual abuse. At least 30,000 county residents live in about 1,000 nursing homes. In addition, Orange County Adult Protective Services gets more than 4,000 reports a year of elder abuse. Burnight said that UCI’s Elder Abuse Forensic Center team – comprising a gerontologist, geriatrician, geropsychologist and elder abuse prevention coordinator – will train staff and administrators in Orange County’s 78 skilled-nursing facilities and 930 assisted-living facilities. The team also will train the county’s 76 volunteer ombudsmen on aging issues and how to detect and report elder abuse and neglect. Abuse can be financial or physical or stem from neglect, she said, with many seniors suffering multiple types. Mosqueda and the faculty and staff of UC Irvine’s Program in Geriatrics spearheaded the nation’s first Elder Abuse Forensic Center in 2003. It aids victims of elder and dependent-adult abuse and brings together legal, medical, social services and law enforcement experts to better understand, identify and treat such abuse; help prevent it; and determine more efficient ways to successfully prosecute offenders. In September 2011, the U.S. Administration on Aging designated UC Irvine’s Program in Geriatrics as the site of the National Center on Elder Abuse, the country’s authority on elder abuse, neglect and exploitation. UC Irvine serves as a clearinghouse of practical information to support federal, state and local efforts to prevent, identify and effectively respond to elder abuse. The class action lawsuit against Skilled Healthcare Group Inc. alleged that the nursing homes chain’s failure to meet California’s minimum staffing requirements led to several wrongful deaths. The defendants deny these charges.